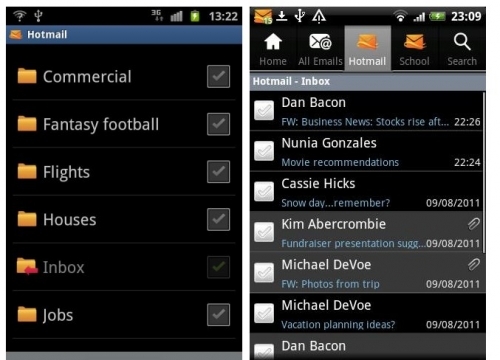 Official Hotmail app for Android released | Android Blast! Microsoft has finally released an official Hotmail app for Android. You can find it in the market today and they're marketing as the "only" official Hotmail app for Android. "The only official Microsoft mobile app for Hotmail that gives you easy access to Hotmail so you never miss an email. - Send, receive and view attachments"